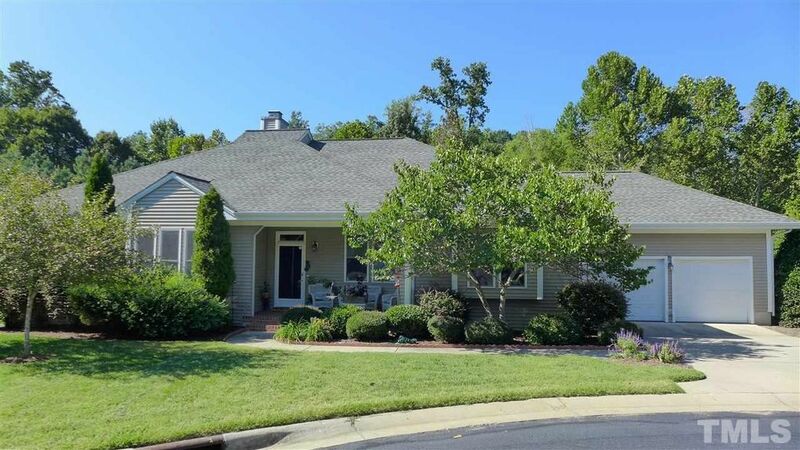 A gorgeous one story home on a quiet cul de sac just beyond Camden in Fearrington. Soaring two story ceilings in main living areas. Extensive treed views from the abundant windows and transoms. Open Living Room/Kitchen/Breakfast, plus delightful sunroom with seven windows to bring the outdoors in. Upscale finishes throughout, including granite, stainless, crown moldings, custom cabinets and tiling, more. Three bedrooms plus office/den and sunroom provides tremendous flexibility and sense of space. Walk to Village shops, restaurants. Enjoy community trails, ponds, bocce!